Perth County was my latest stop on my quest to discover great regions outside Toronto. Torontonians flock to Prince Edward County but it’s like the Hamptons of Toronto – yes it’s great but why leave the city on the weekend to hang out with everyone else from Toronto? There are so many other great regions to visit like Grey County or Ontario South West. And if you’re willing to drive a bit farther Ontario’s Highlands are spectacular. I’m no stranger to Perth County, earlier this summer I visited Stratford’s Bacon and Ale Trail and I loved that most of the trail was located within walking distance. Stratford is known for its great restaurants. It is the largest and most prominent town in Perth County but there’s so much more to see and do. I spent 4 days wandering the region in a rental car and I was really surprised. I’ve always known it as a region for incredible pork. At our restaurant Loka we buy whole pig from a Mennonite farmer in Perth County and so I was ready for bacon! Instead I had so much beef! An agricultural area, there’s lots of great produce and while the pork is incredible, locals opt for beef. In my four days I ate 3 burgers, and two beef melts. I hadn’t intended to go on a beef tour but I always ask for the most popular dish and it was always the beef. I didn’t regret a single order, all of the beef was fantastic. Perth County locals know what they are doing. I didn’t start off with beef and instead with beer. Located in Shakespeare (Perth East) this brewery just opened in July and unbelievably its owned and operated by a couple who do it all themselves. Every craft beer drinkers dream is to open their own spot and Ayden and Katie Gautreau did it. They offer three beers using only Ontario-grown ingredients, uses artwork from a local incorporating farm animals as Shakespearean characters. An autumn appropriate stout is replacing the popular Bumbling bear blueberry wheat ale. To try all three beer head to their brewery conveniently located on the main drag in Shakespeare heading to Stratford. You can also find it on tap at local joints like The Hub in Stratford. 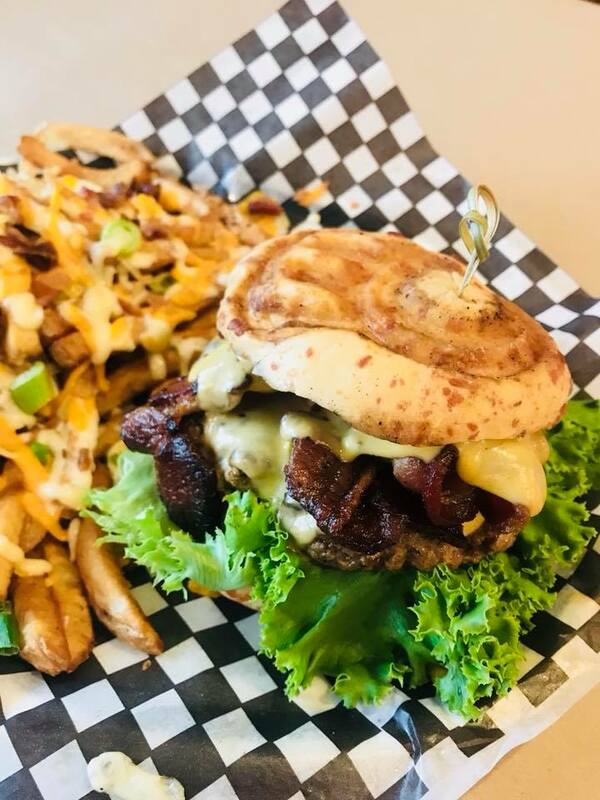 Chef Matt Transchel cooked in Stratford and wanted to take burgers in Perth County to the next level so he opened MC’s Hamburgers in Milverton. 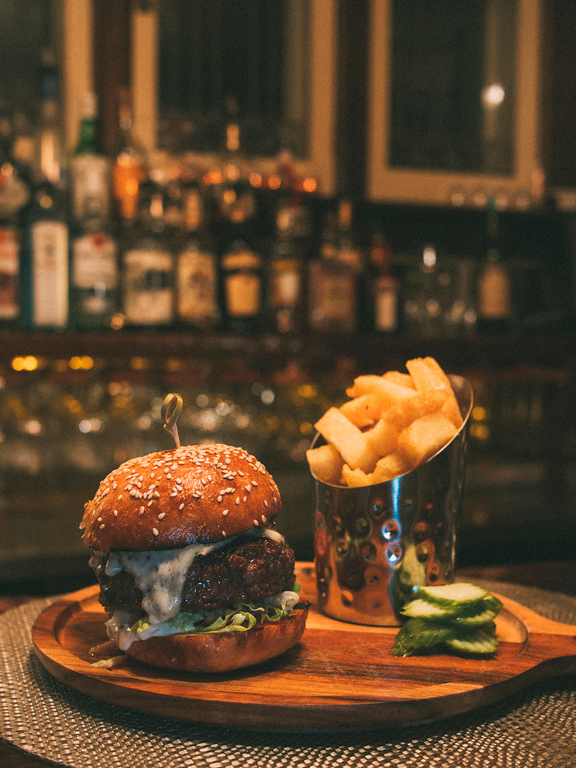 These gourmet hamburgers were so well received it’s busy during the week with diners and lots of people popping in for take out. Matt believes it’s all about the beef, there is no filler or flavouring in the patty. Just freshly ground local beef. With so many options it’s hard to pick just one, especially with daily specials. After overthinking lunch for far too long I finally opted for the Hotel California with grilled pineapple, thick cut bacon, smoked Monterey Jack cheese, roasted garlic mayo. The fries are killer too, I upgraded to the hammer fries with bacon, cheese and ranch. This is a dangerous place. You’ll want to come back often. No burger here but one of my favourite stops as I love meeting young successful entrepreneurs. Lindsay and Mike Higgins are young farmers who bought land from Lindsay’s family (she’s a 5th generation farmer) and originally opened a CSA for locals. 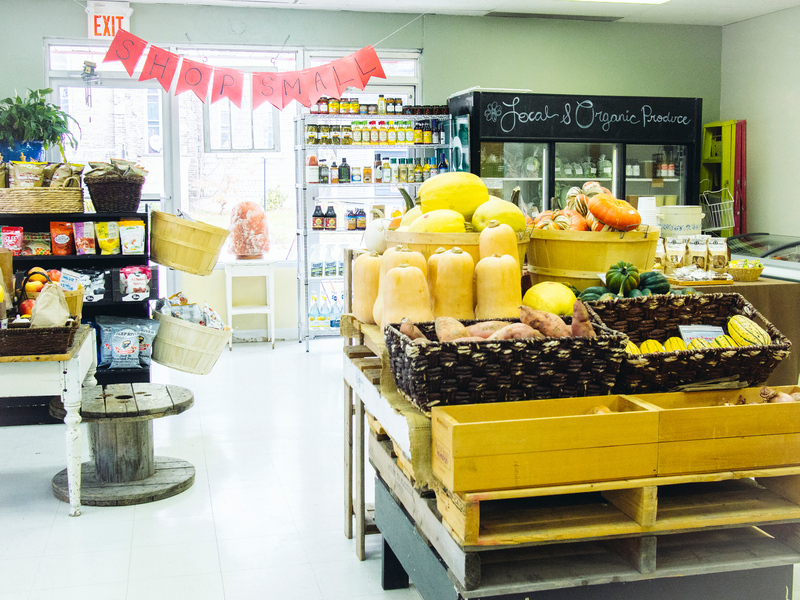 They built a storefront so people could pick up their weekly produce inside rather than in a field and the farm store took off with locals coming by for ice cream, homemade meals, condiments and other local products. I love this shop because they also offer gluten-free and vegan meals without any refined sugar. It can be tough to get healthy and meatless offerings in rural areas and they are thriving. 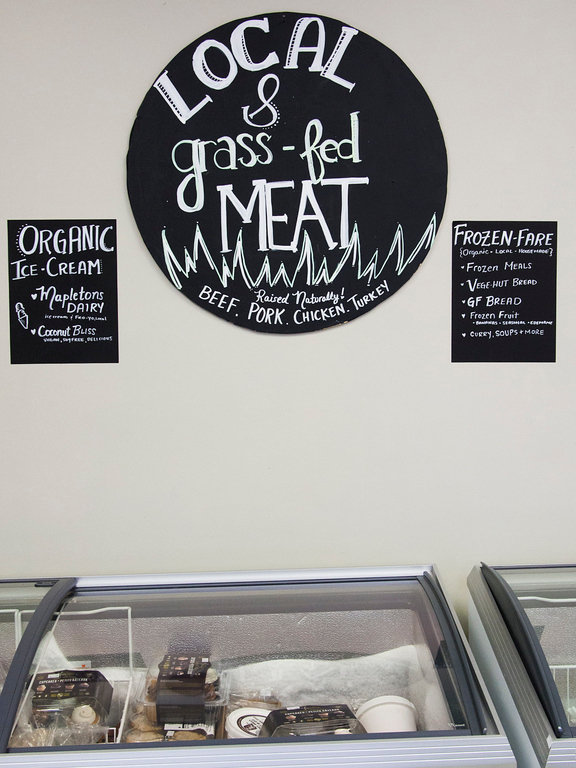 It’s worth a stop for ice cream and to look through their options for marinated local meat poultry, they have free range chickens and frozen meals are made with their own produce. One of the most famous restaurants in the region. This is a family-owned and operated Mennonite restaurant and bakery. The most popular option is the hot meal which includes a choice of meat, potato, vegetable and roll. 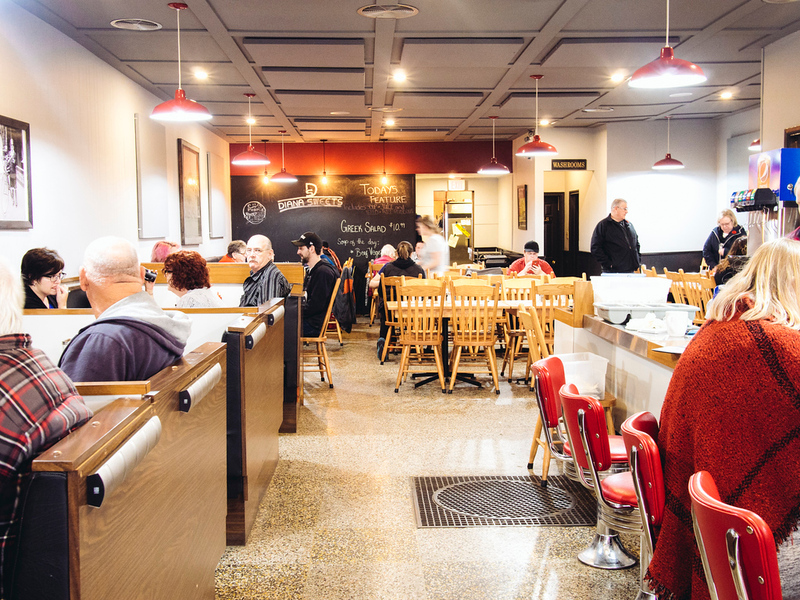 You’ll overhear locals debate whether they want the pork chops on special or meat loaf. Do not pass up their broasted chicken, which is fresh marinated chicken that is pressure fried. It’s a bit kitschy with one table that has retrofitted a Mennonite buggy into a booth (you must reserve this in advance). 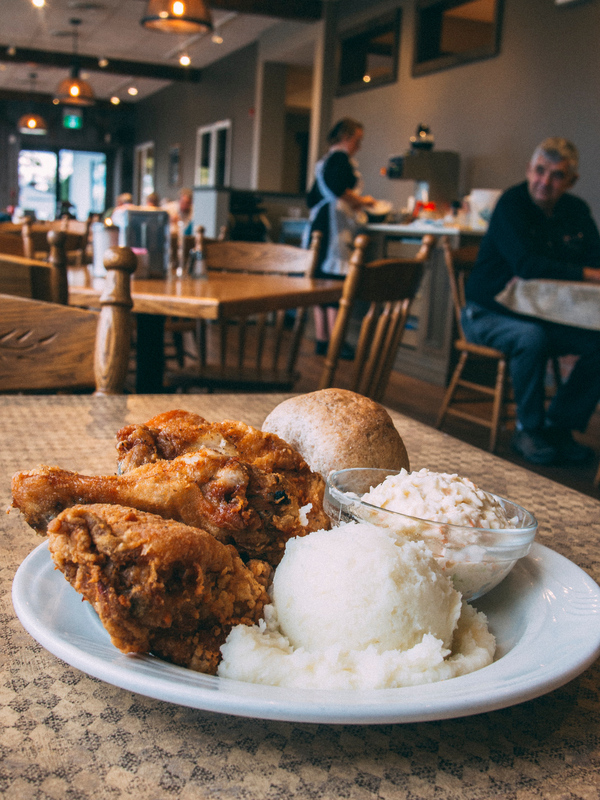 But it’s not just for tourists, you’ll also see local Mennonites eating here as well. Listowel is another hub in Perth County that is widely known as the Letterkenny town. Listowel is the creator, Jared Keeso’s, hometown and it inspired much of the show. and again it only has 5000 people but has a thriving downtown with shoe and home décor stores with old school restaurants that have been around for decades and newcomers settling in the area and opening spots. You may be in the country but that doesn’t mean it can’t be gourmet. This kitchen supply and gourmet gadget store has everything from Le Creuset to imported Dutch food. There’s also a great deli shop to take away or eat upstairs. If you’re looking for a good deal head upstairs and check out the items on sale. A group of my friends have a private Facebook group called GTFOOT (get the f out of Toronto). They long to leave city life and open shops in small towns with great local produce. They would be so jealous of Cowan’s Community Fresh. The Cowan sisters grew up working in a health food store their parents owned. Years ago health food meant it was all about buying vitamins. But they had an idea to transform the store and reached out to the community to crowdfund the next generation of stores – with fresh, local and organic options. Listowel is known to be a meat and potatoes town but Cowan’s continues to grow with a “Fresh Box” of produce that locals subscribe to but visitors can order a one-off on their way to the cottage. There’s kombucha on tap, grass fed beef in the freezer, local bread and they’ve started offering cooking classes. This diner has been popular since 1920 and I suspect it’s because of the comfortable service and generous portions. My server cheerfully suggested the new beef melt, which was her favourite. She was so endearing I couldn’t say no. I was going to leave without dessert but another server chirped in that the apple crumble was amazing, and she was right. There are burgers at Diana Sweets. They are made with fresh, local ingredients and are so popular I overheard they ran out at lunch. Blue cheese on a burger? Yes please! Although I had Diana Sweet’s beef melt for lunch I could not pass up a burger for dinner. Located in a historic house in Listowel it would be easy to drive by without noticing it was a restaurant. The Warrington is the most upscale and modern restaurant in the region. Everything is made in-house from scratch. It’s run by Chef Chris and his wife Jen who live upstairs. They lived in London England and when they decided to move back to Canada they chose Listowel as Jen’s sister lives in town. Nearly four years old, when they first opened they had a varied menu but realized the most popular items were steak and burgers. So they listened to their customers and the menu reflects local taste. For those looking for something other than beef there are specials with everything from a delicious scotch egg with bacon jam (of course I ordered it and it was fantastic) to curries. 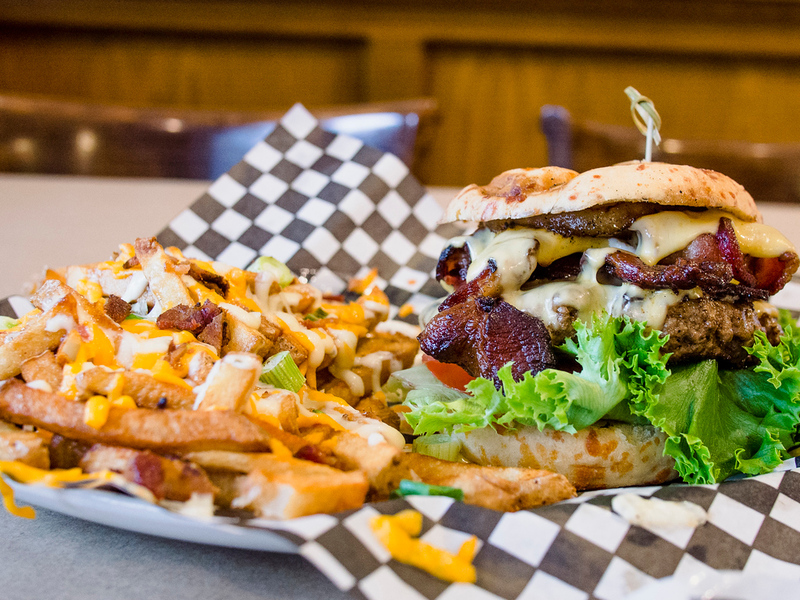 Pro Tip – if you’re just popping in sit at the bar and eat there. It’s less formal and you meet fellow diners. If you’re lucky you’ll meet Bob Boertien who is a frequent visitor. His wife is one of the Cowan sisters and he loves talking about food. Mitchell is ten minutes from the Windbreak Farm B&B. While the population just over 4500, it has a surprisingly substantial downtown with a supermarket, number of restaurants and shops including Jillian’s home décor store. My last meal in Perth County, I asked what was the most popular and it was overwhelmingly the Hick’s beef melt on a flatbread. Chef Sean worked as a chef in London and he and his wife Sandra wanted a change. They moved to town and when the space came up for rent they couldn’t pass it up. When I asked Sandra if I should sit and order or go up to the counter where Sean was working she said locals do both so it was up to me. The place is always busy as Sean makes an amazing sandwich and locals stop in to chat with Sandra. 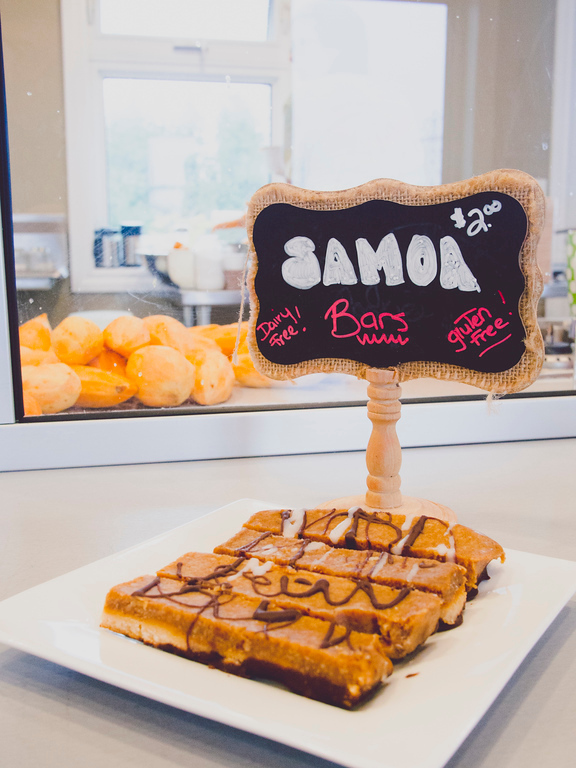 This is a must-visit spot; however, it’s only open for breakfast and lunch. This Mitchell pub has had nine lives. It was once a cinema, a stable and a service station. 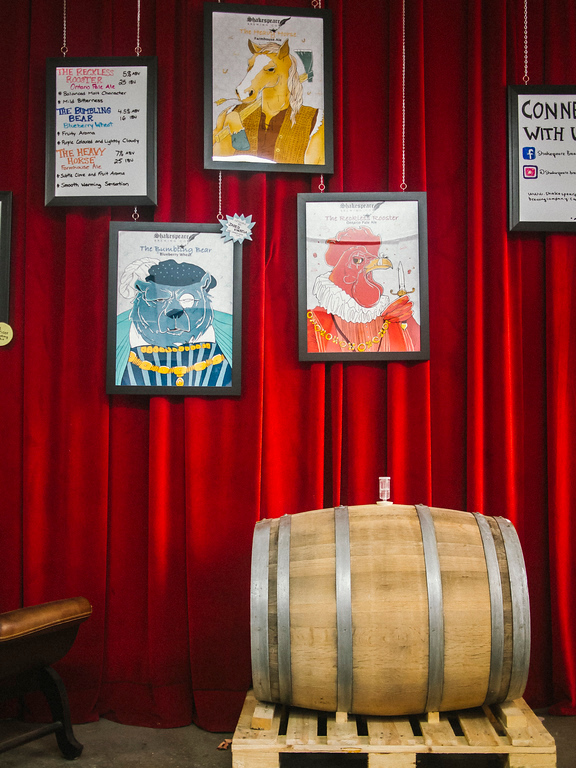 Today the pub uses local ingredients and West Perth-based Black Donnelly’s beer on tap. I visited on burger night and couldn’t pass up the “Mitchell Lawsuit” with strip bacon, peameal bacon, mozzarella and a fried egg. If you’re wondering what it’s a lawsuit, owner Phil explains its tongue in cheek and “It just occurred to us that serving an item with such tasty and prospectively artery hardening ingredients…may leave us exposed to litigation in our ever more litigious world.” If you’re not feeling a burger, the pizza also looked fantastic. There’s also a pool table, which I think is key if you want to get out in the evening. 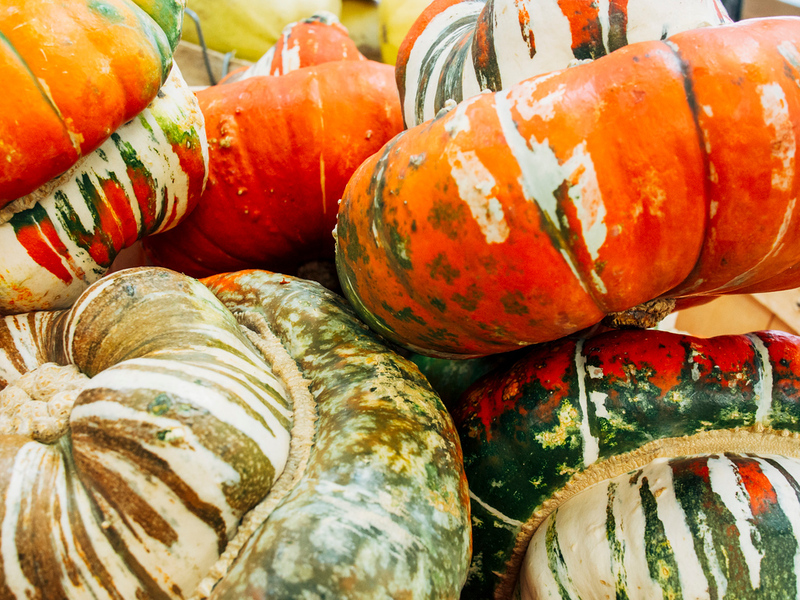 This farm has been in the community for over 160 years with a farm market and events. 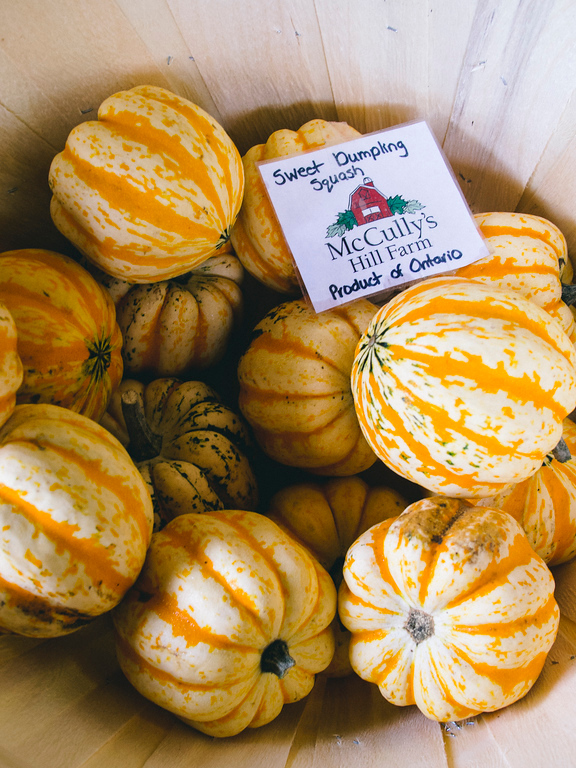 They offer seasonal produce as well as preserves, baked goods, maple syrup, honey and frozen meat. They are also on Stratford’s Bacon and Ale Trail and offer a pound of their farm-raised bacon for the Trail participants. Cathy and Bob Hutson raised their family in this farmhouse and when the kids moved on and they retired they decided to turn the house into a B&B. I stayed in The Dove’s Nest with a Queen bed and balcony to sit outside and enjoy the view. It rained the entire time I visited but it also features a huge bathroom with heated floors and a clawfoot bathtub. Every night I came back and took a bath while watching The Daily Show on my laptop – I miss that tub now. Breakfast here is also incredible. Cathy and Bob didn’t quite retire as Cathy is a great cook with her own cookbook and Bob runs a woodworking business on site. Here’s a map of all the locations I visited in my four days. If you plan well you can visit many of them within a day or two. Click on the top left icon to get a menu of all the spots. Click on the top right to save/share/email the map. If you visit any other great spots let me know so I can add them to the map! 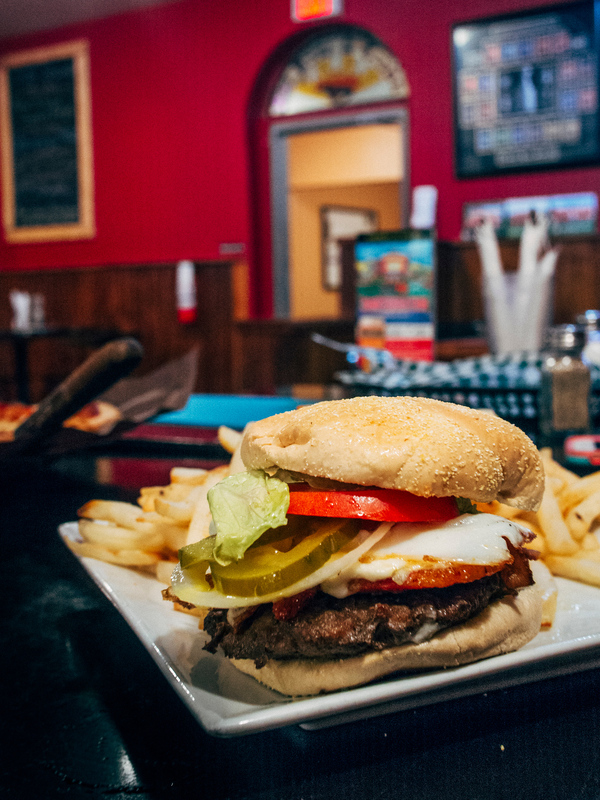 Disclosure: Perth County Tourism sponsored this post about the best places to eat in Perth County Ontario. I reached out to them to visit this region because I liked Stratford so much I knew there had to be more to the area. 5 burgers in a single day? You win the burger master title! Looks delicious! no wonder how you had 5 of them in 4days. Cheers! I’ve never been to Perty County, and had no idea there was a Canadian town named Shakespeare. But that Blue Cheese burger is probably enough to get me to know. Looks like there are lots of tasty options to explore. 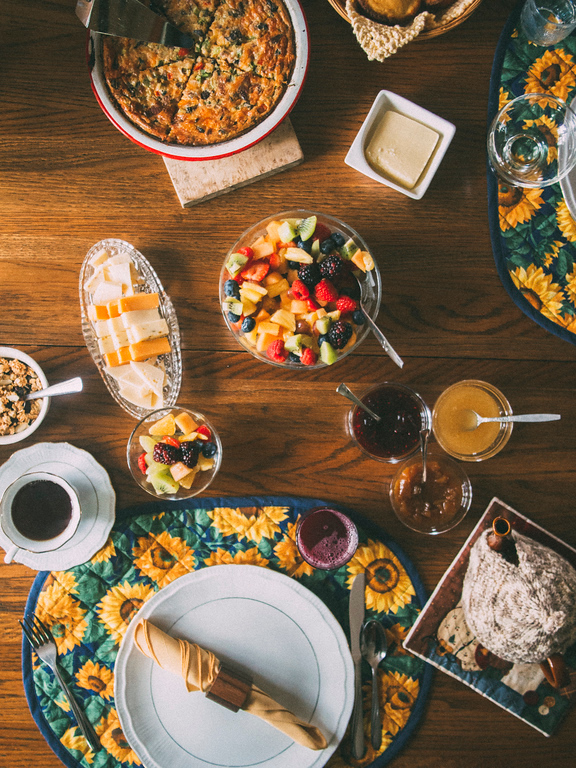 All of the food featured here are so mouth – watering!!!! I have to try ’em allllll!! MC’s Hamburgers! I will surely try their food and Diana Sweets Restaurant! Would really try their burger! 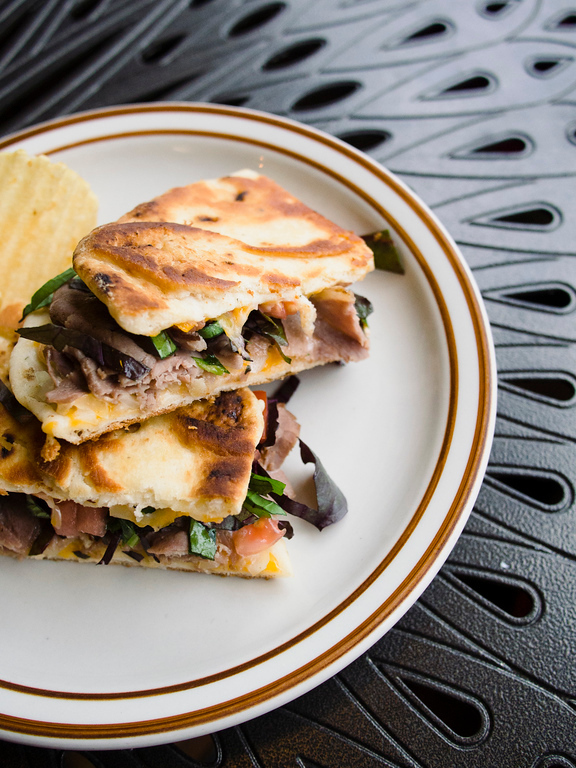 And Hicks Cafe’s Hick’s beef melt on a flatbread looks so delicious! Lastly, Cowan’s Community Fresh, for they are serving fresh quality foods. We’d love to have you for a visit! #DiscoverMore by following @PerthCoTourism on Facebook, Instagram and Twitter!